There are some who won’t touch a delay pedal without Tap Tempo. It’s a really great feature. You can now sync your delay time with the tempo of the band. Sure you could pre-set it, but if you’re not using a click track or if the song has multiple tempos in the arrangement you’ll need to adjust on the fly. Another great feature of Tap Tempo is the ability to throw yourself out of sync in a very musical way. I have often times tapped out a tempo way faster or slower than the actual song to create an effect almost like a tremolo that can fill in the space very nicely. One of the things you’ll hear from older guitarists is “back in the day, we didn’t need tap tempo to set our delay” or “the Edge got along fine without it” or something to that effect. There’s actually quite a bit of truth in that sentiment. There are many ways of using a delay pedal where a tap tempo is fairly irrelevant to the sound. Then there’s analog delays with tap tempo that are unsuitable to many worship situations because of the “warble” that happens when you tap while playing. 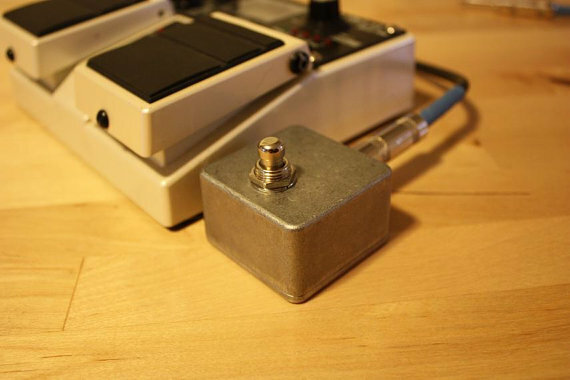 When using a pedal like my Kilobyte delay (see review HERE), I rarely feel like I need a tap tempo. I think it happened once, and it was because another guitarist was using it who didn’t know how to set a delay without tap tempo. Don’t let tap tempo keep you from being able to dial in a delay setting on your own. As with anything, choose what’s best for you and not what the hyped or trendy choice is. There are some really great, gold standard delays like the Deluxe Memory Man that don’t feature Tap Tempo and it would be a shame if someone didn’t at least consider a pedal that well designed because they’ve been told that they “have to have” tap tempo on any delay pedal they own. Like any other feature, tap tempo is a skill to learn, but we shouldn’t let it be a barrier to learn other skills in dialing in a delay pedal.